We decided to seize the off-season to introduce the EFPT team to you a little bit more and to take a closer look on the people who work behind the scenes. 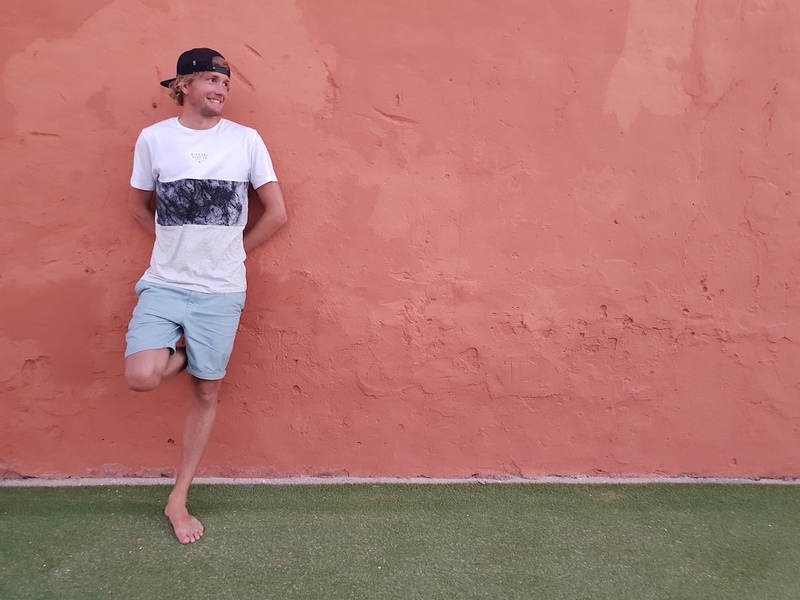 What many people don’t know is, that the team consists of a bunch of highly passionated windsurfers who dedicate a lot of time and thought into making the tour grow and in keeping the spirit of it alive. What started 15 years ago, developed into a highly professional organisation – something that has only been possible with each and every person involved: be it the tour-management, the event-organisation, the media or the judges. 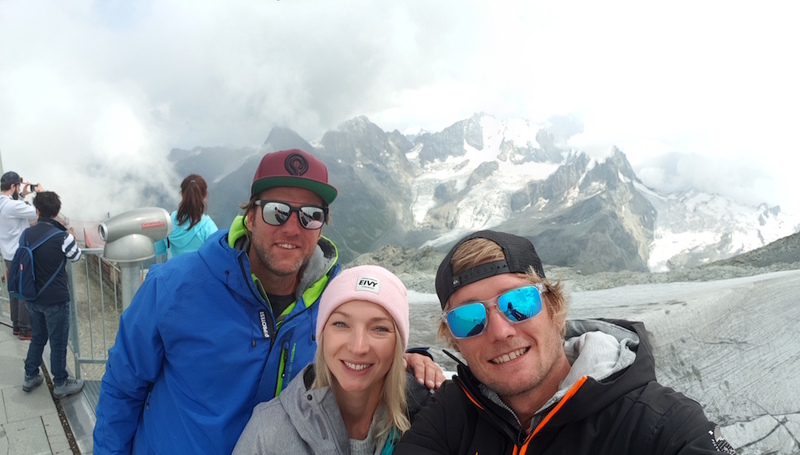 We start our series ‘Meet the Team’ with Danny Kater, who developed the EFPT live-scoring system together with Julien Mas and who helped to push the professionalism of the tour onto a new level. I started windsurfing when I was about 10 years old. On my local spot I always saw those good guys doing the crazy freestyle tricks, that I then also wanted to learn. Together with my best friend we went on the water a few days per week and kept trying until we landed our first air jibes, then spocks, then e-sliders and so on. If there was no wind, we were always watching videos on, for example continentseven.com, just to make sure we have that new move in mind for the next session! How did you become a team member? In 2014 I was asked by the PWA to judge at the Windsurf Worldcup Sylt where I met Tom Hartmann, the tour manager of the EFPT. Tom became a good friend and we spent a lot of time sharing rooms/apartments during the events. I think it was in 2016 when he first asked me if I would be available to judge in the EFPT Lanzarote. Since the EFPT Costa Brava in September this year I’m the head judge. For the 2018 tour the EFPT started using the LiveScoring system that I’ve developed with Julien Mas. As I built and manage the system I’m very closely involved with the scoring. Therefore Tom gave me the responsibility to also take decisions around the scoring, whilst he takes all the rest of the decisions. But it’s very much of a team job, the race director and head judge work closely together. I must say I feel a connection with all of the EFPT events, because they’re all organized by either PWA/EFPT judges, old competitors or owners of windsurf centres that are very dedicated. If I have to choose I think the Lanzarote event is my favourite. 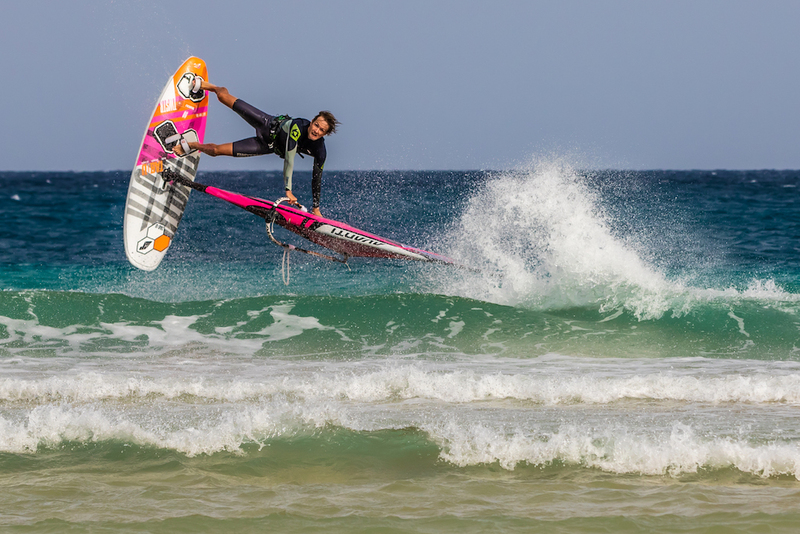 The conditions we get there are by far the best and most extreme for freestyle windsurfing. Also as the judges we get to spend some time on the water there and now and have some chilled-out beers in Luca’s Beach Bar. There’s quite a few of them. The best thing from being on tour is spending time with the crew, riders and meeting a lot of people during the events. Every event has its own bunch of memories! I really like to do Culos, this currently is one of my most stable moves. But I can also squeeze in some harder moves as Kabikuchis, Spock Culos and Paskos sometimes! I’ve first competed in the PWA Fuerteventura in 2012. After a few months of training in Jericoacoara and Bonaire some people thought I should go and give it a try. I think as everyones first Worldcup it didn’t go as good as I expected haha! 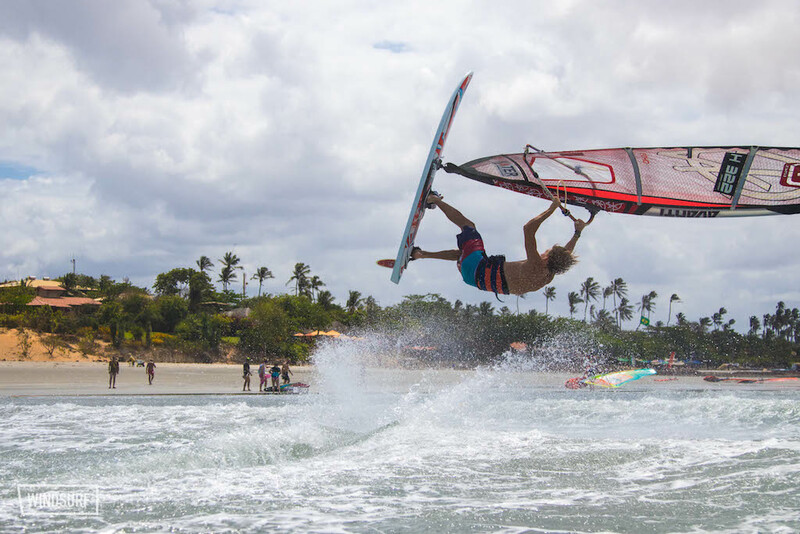 Competition windsurfing is a whole different thing to free-sailing. During the following Worldcups I kind of got more into it and started to win some heats. I run an online platform where for example ski- and snowboard instructors, that have worked in Austria, can claim their taxes back. Last month I’ve also started working with the GKA Kite World Tour and we’re currently working on a brand new website/platform for them! 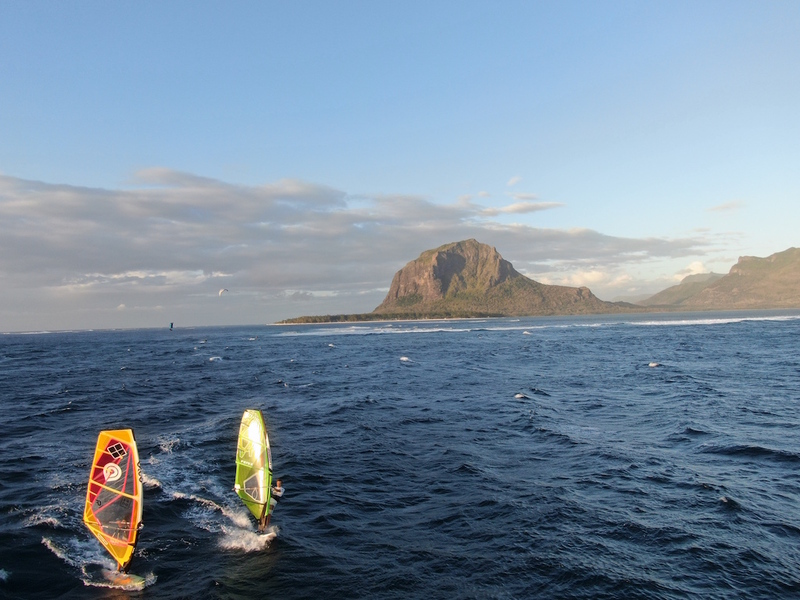 At this moment I’m in Mauritius, spending some time with Tom and spending some time in the amazing waves here. If the wind & waves are not good enough for windsurfing I spend my time kitesurfing. Better that then sitting on the beach all day long. I also ski and snowboard in the winter. Since 2011 I’ve been working as ski instructor in the well-known village of Mayrhofen in Tirol, Austria. What I really like about the EFPT is the dedication of all team members. The tour is run by Tom and Hanna- what they’ve been doing amazingly for many years. This season the EFPT had eight tour stops, which is great for a European Freestyle Tour. Beside their hard work they’re also open to new ideas from the crew and riders to make things even better. Once something can be improved, we try to put that in practice straight away for the next event! The bad hangovers we get from the closing parties on the last night of an event. For some reason those windsurfers still know how to party. What’s in your Coffee? I drink my sugar with a little bit of coffee. Let us know which team-member should be presented next on ‘Meet the Team’ and drop us a message on Facebook or Instagram.